It is so good to hear new music from Americana-folk group The Wandering Hearts again. We last featured their gorgeous harmonies just under a year ago with their title track to their debut album Wild Silence. 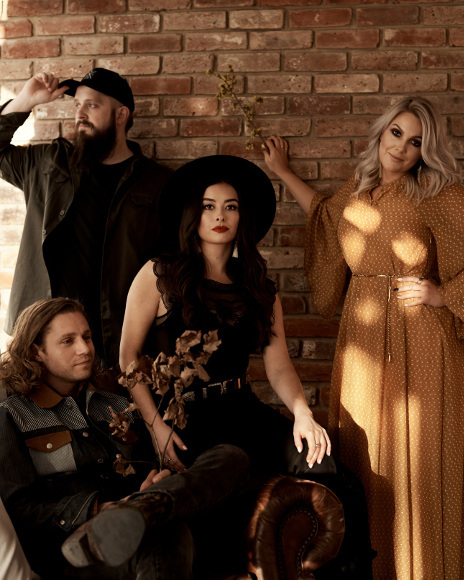 Since then the London-based group have been extremely busy both sides of the pond with a string of shows in Nashville (including the Ryman Auditorium and Grand Ole Opry), UK summer festival appearances and a sold-out UK tour last autumn. Now the band are back with a deluxe edition of their debut album (released last Friday) with live versions of favourites and brand new tracks, including this beautiful song. Featuring on Spotify's New Music Friday, Run effortlessly blends softly strummed acoustic verses with a hooky chorus to create a scrumptious earworm that will leave you singing "run and run and run" in your head all day. Later this year you can catch them performing at C2C festival in the main arena on the Spotlight stage while the band have also been nominated for UK Artist of the Year at the AMA Awards 2019. Run is another glorious addition to their catalogue and if you haven't yet checked out their debut album, Wild Silence, we thoroughly recommend you do so.